Red Dead Redemption takes what we love from the Grand Theft Auto franchise and applies it to a world that is unfamiliar and largely untapped in the world of videogames. 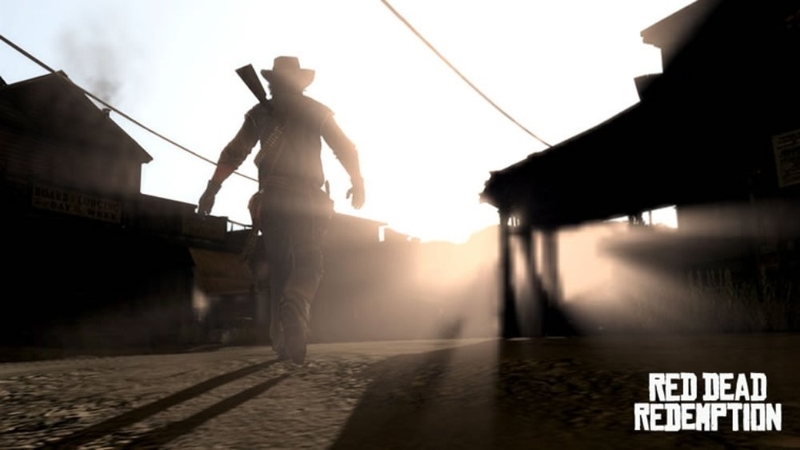 Serving as a spiritual successor to Red Dead Revolver, Redemption takes place in the early 1900's where the government is just starting to form and establish itself in a place where it is not uncommon to be killed for your possessions or just for sport by ruthless outlaws. 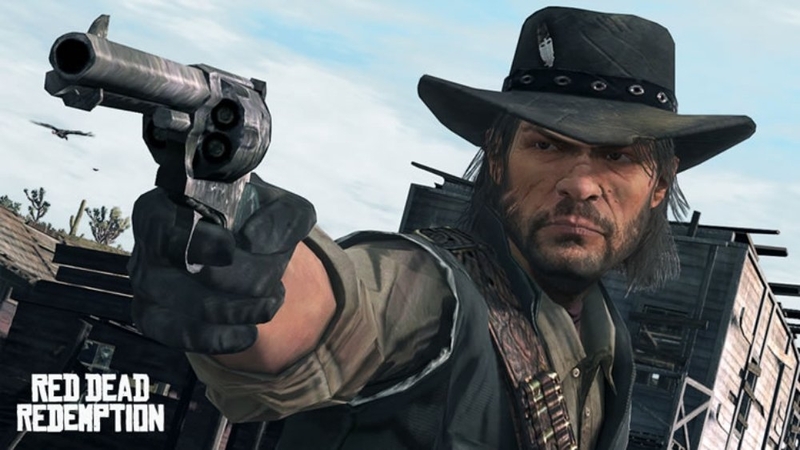 John Marston is a man on a mission: save his family and escape his past once and for all and the only way to get this done is by taking out his old Gang for the government. 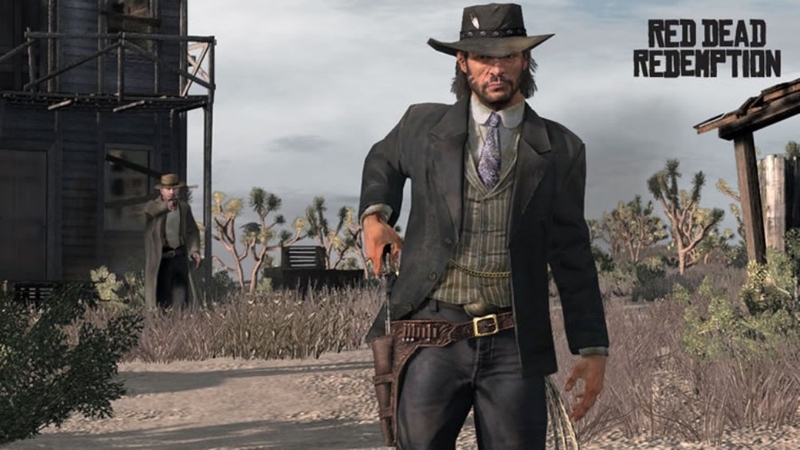 It's not by choice he wants to do this, as the beginning of the game explains why he must take up his guns again, but the roughly 25-hour adventure will come to explain exactly why the government gets on Marston's case. No one does a character driven story like Rockstar, and this game even rivals the excellent adventure that was GTA IV, and one game action fans will not want to miss. The Characters you will come across all have distinct personalities and goals, and they are all brought to life with some excellent voiceover work by the game's cast. The presentation is top notch in Redemption and the story, music, sound effects, and gameplay all come together to give you a fully immersive experience in a time period that was one of the world's deadliest. The gameplay structure from Grand Theft Auto is still intact here: you will go to a marker, meet a eccentric character, and carry out a favor for them in order the information you need to track down your old comrades. Most missions will require you to kill, so nothing new there, but the way it is carried out feels great with some additions like Dead-Eye, the enhanced bullet time mechanic used to a great degree in this game, the weapons of this time period, and the lasso. Used for hauling in wanted outlaws and capturing wild horses, the lasso takes full advantage of the RAGE engine and allows enemies to be dragged realistically behind you when on horseback, and will eventually die after a while since being dragged through rocks and tracks is probably quite painful. Even though the game takes place in the Wild West, you can still be accountable for the things you do. Killing an innocent or lawman will bring a bounty to your head, with it gradually increasing depending on the carnage you dish out. To pay off a bounty, you can simply go to a location and pay it off, use a pardon letter given to you by a Marshall, or receive jail time depending on what you did. Neglect to pay it off, and Bounty Hunters will begin their quest to hunt you down. What's great about this Wanted system is that as long as you have a bounty, people won't forget what you did and will alert the authorities depending on your Bounty amount. The similarities with GTA end when it comes to the horse gameplay in Redemption. All horses you ride have a stamina meter, and will kick you off if you push them too much. Riding involves balancing out when to speed up and let them rest, while maintaining a nice speed to get across the vast land. Speaking of that, the world in Redemption is huge and can be compared to the amount of exploration seen in games like Oblivion and Fallout 3, with unique areas of buildings, people, and animals to find. Speaking of animals, they can prove to be even a greater threat than a man with a gun. You'll come across bears waiting to claw you apart, snakes hiding in the grass, cougars ready to pounce any threat, and many more across your adventure. Hunting these animals and skinning them will give you items to sell at general stores in town, and their additional in Multiplayer is even more fun. Multiplayer consists of games like capture the bag, Gang Shootout, and Free for all, but the star of the show is Free-Roam. 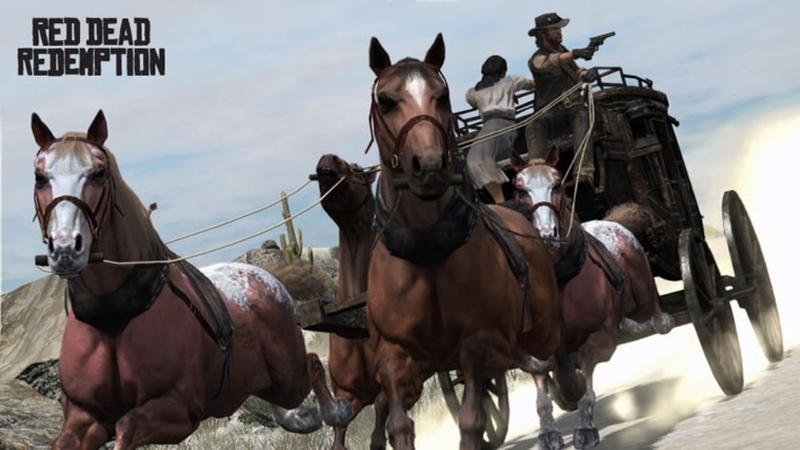 In free roam mode, the entire single player world is available to be explored with up to 16 players, and up to 8 in your very own posse. Challenges fill free roam with things to do, and will garner experience points to level up your character, with a max level of 50, and will give you rewards like new titles above your head, better weapons, and new mounts to ride. Free Roam serves as the gateway to the more traditional multiplayer modes, but you may find yourself like me enjoying Free-Roam more than those modes. There are a plethora of characters to choose from as your player, and all have different hilarious taunts they talk about. There's a lot to like about this game, and one of the newer 60 dollar titles that truly has a great amount of re-playability already on the disc without dlc, that Rockstar is working on already and the first one will be free! 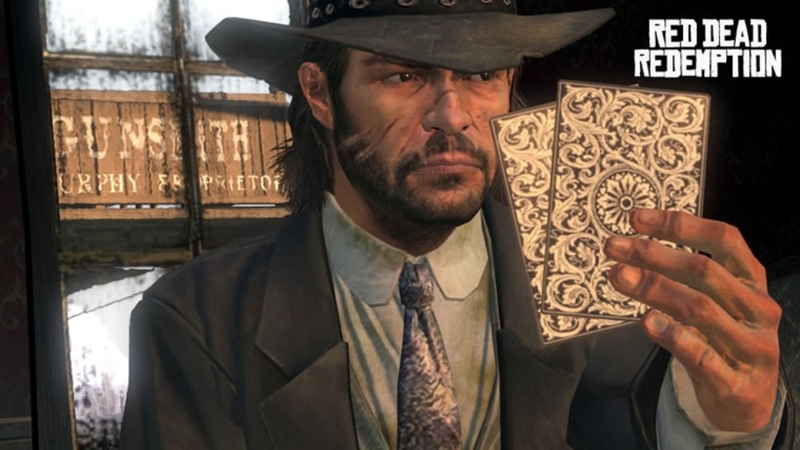 The mini-games all feel great, and the unlockable outfits for Marston come with certain benefits that help you throughout the world of Redemption. 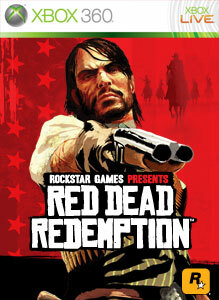 Overall, this is Rockstar's greatest game in my opinion and the best western game to date.